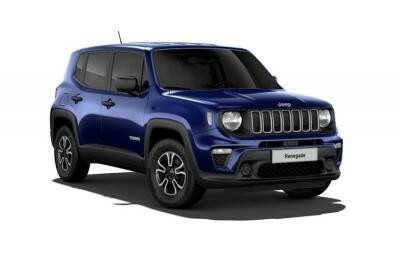 Discover the best Jeep Renegade car leasing deals only at Britannia Car Leasing. View our latest Jeep Renegade leasing options below or use the filters to refine your results. One moment please, we're just loading your vehicles. Oh no! It looks like we couldn't find any vehicles matching your criteria. Please alter your search filters and try again. Here are some common questions you may have when deciding to lease a new Jeep Renegade car. If you can't find the answer to your question below, please view our FAQ page or contact us on 0161 440 7272. Are all of your Jeep Renegade cars brand new? Yes, all of our Jeep Renegade cars are brand new and are either supplied directly from Jeep or one of our trusted partners from around the UK. Is road tax included in my lease? Yes, typically we cover either the full duration of your contract or just the first 12 months, depending on the specific deal. If you are unsure and wish to talk to one of our advisors, please call us on 0161 440 7272. Do you charge to deliver my new Jeep car? No, most of the time we can deliver our cars free of charge to most places within the UK mainland. However, sometimes there may be an additional charge depending on your location. Do all of your cars come with a warranty? Yes, all of our cars are brand new and come with a full Jeep manufacturer warranty.